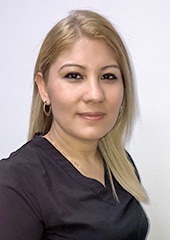 Maria first joined our office three years ago, and she has over six years of experience in the dental field. Originally from San Jose, she attended Carrington College for her education. Today, she has undergone extensive cross training in the duties of front and back office staff, including billing and coding. She is also an RDA (Registered Dental Assistant) and certified in CPR. What she enjoys most about her job is being able to help patients feel confident about their smile and oral health. She is proud to work alongside such confident doctors and irreplaceable staff members every day! Maria has a big, fun, and loving family. Her hobbies outside of the office include traveling, reading, and listening to music. She was born and raised in the Bay Area, which means she’s a big 49ers and Golden State Warriors fan too! Krystle is from Arlington originally. She has been working in dentistry for eight years so far, having spent the last two at our practice. She received her training from ATI Career Training Center and is certified in CPR. She loves educating patients about their dental procedures and helping them change their smiles for the better! Krystle would describe her family as very united and loving. When she isn’t busy at work, she spends her time with her kids and other loved ones, as well as dancing and traveling. She is a very detail-oriented person and a good team player, which makes her a good fit for this line of work. She also cheers on the Cowboys at every opportunity! 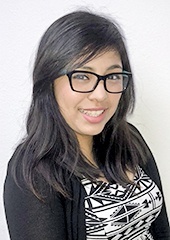 Selena hails from Dallas, and she attended Brightwood College for her education. She has been at our practice for less than a year so far but already loves working with such a great team of people! She also enjoys educating patients about oral health. Selena has a little baby boy at home who she loves spending time with. Other interests include going to races, cooking pastries, and rooting for the Cowboys. She was actually named after the singer Selena Quintanilla! Alicia’s career in the dental field spans nearly a decade now. 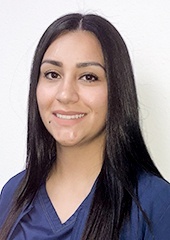 She studied at El Paso Community College and is certified in CPR and as an RDA (Registered Dental Assistant) in addition to her hygiene expertise. 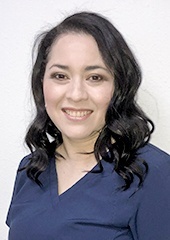 Having the ability to share her dental knowledge with the practice’s wonderful patients is by far her favorite part of this job. 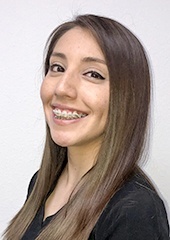 Originally from El Paso, Alicia has two smart and outgoing children. When she isn’t busy at the practice, she spends her time traveling, going on evening jogs, and hanging out at weekend family gatherings. She actually relocated to Carrollton only one week before her job at Beverly Dental Center started! Hilda’s hometown is San Luis Potosi, Mexico. She studied at Collin County Community College and is certified in CPR. Today, her career in dentistry spans 12 years so far, the last two having been spent as a member of our team. She loves the doctors and team members she works with! Hilda enjoys going to the rodeo and dancing in her spare time. She also rides horses on weekends. 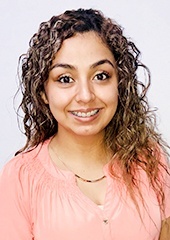 Lourdes studied at Metropolitan College before pursuing her dental training at Platt College. Today, she’s been working in this field for six years and counting, and her talent when it comes to helping patients feel at ease during treatment is unmatched. She is also certified in CPR. Originally from Dallas, Lourdes has a big, loving family. Her hobbies include listening to music, swimming, and making others laugh! 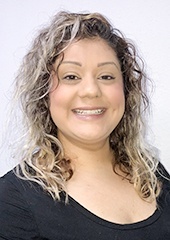 Denise first joined Beverly Dental Center two years ago, and she has almost four years of general experience in dentistry. She studied at Kaplan College and is certified in CPR. She loves how appreciative the doctors are of their staff members here! Being able to help provide the best service possible to all of their patients is her favorite part of the job. Denise is from El Paso. She can think of many words to describe her family, including fun, laidback, social, welcoming, and warm. She spends her free time bike riding, exercising at the gym, playing guitar, and crafting. She actually commutes to work on her bike!